If you ever hear me refer to the “bible”, I am talking about this book here . If I ever mention the “holy trinity,” you can bet we’re talking about Creole cookin’ and a discussion about my dislike for bell peppers is soon to follow. I know, we’ll deal with it later. And lastly, the “resurrection” that I will certainly be celebrating for years to come has everything to do with salsa. 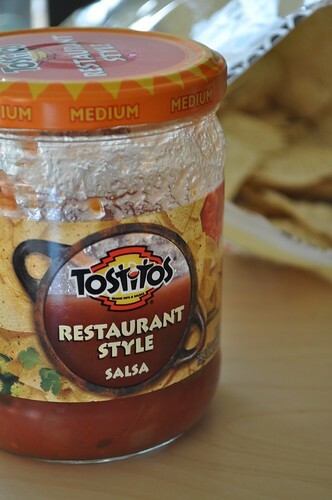 Years ago, my mom and I both fell into a torrid, all-consuming love affair with Tostito’s Restaurant Style Salsa. Tortilla chips were but innocent bystanders, unfortunate casualties of our passion. We found other salsas to be overly sweet and tomato-pastey or flavored much too heavily with cilantro (I happen to be of those genetic misfits for whom this herb tastes like soap). But this, this restaurant style beauty was light and tasted miraculously fresh. It was rare that a jar ever wore its lid again once we’d opened it. And then, one day, it disappeared. I thought it was maybe one of those things that I could no longer find since moving to New York, a mere regional loss. No matter, I’d stock up on my next visit to Wisconsin. But my mom hadn’t been able to find it either. We both searched and scoured our supermarket shelves to no avail. Scared and salsaless, I began to frantically search the internets. I encountered forums and discussion boards wherein others were conversing on this very topic. Nobody could find it. It had been discontinued. None of us could understand why. From the time I made that discovery five or six years ago, until one fateful day the week before last, I had resigned myself to perpetual salsa dissatisfaction. There was the occasional palatable jar, but by and large most were saturated with cilantro or a brief reduction shy of cloying. I was disheartened and deprived. And then–oh joyous day!–I happened to find myself standing in front of the salsas, looking for a bean dip, never in a million years hoping…. But there it was. One jar. It looked a little different, but it bore the same title, and when I turned the jar over it had that same natural consistency that I remembered from so long ago. Could it be? Was it true? I got it home, cracked it open, and it was every bit as wonderful as I remembered. I snapped a picture with my iPhone and sent it to my mom. “Look what I found!! !” I said. Yes, it warranted three exclamation points. A couple moments later, my mom responded with a photo of the jar currently in her own fridge, saying, “I found it too! Just yesterday!” Suddenly all seemed right with the world. Now, I know it’s salsa from a big, fat commercial brand. It’s not one of those organic, artisanal shops that I do so love to support. 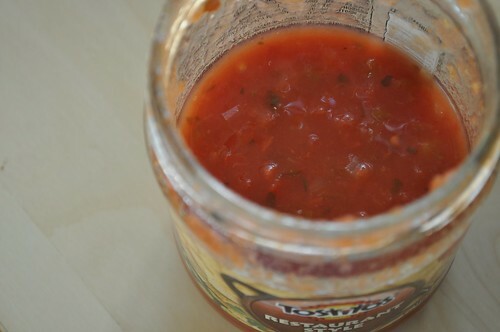 But hear me when I say: It’s damned good, the only salsa that I will eat by the jarful, and gladly. It’s light, it’s natural-tasting, and it’s back. *Please note: This is not a sponsored post. I just seriously love this salsa and want all of you to know about it so that you can go out and buy it and eat an embarrassing amount of it so that it will never ever get discontinued again. Thank you for your assistance. Ok, now I want some! Looks good!